It’s really hard to know how you’re going with your health goals if we think beyond the typical weight loss measures of kilos on the scale or centimetres on the tape measure. Tracking your progress is one of the best ways to keep you accountable, plus provides a good motivator for smaller goals that are achieved along the way. We often find with our clients that the scales and weight loss may not be shifting, despite consistent exercise and clean balanced eating. Unfortunately, health is not as simple as calories in and calories out, with elements like sleep, stress, a sense of purpose, confidence, and of course happiness all playing a part in contributing to our health. The figures from the Wellbeing and Resilience Centre at the South Australian Health and Medical Research Institute (SAHMRI) tell a clear story, with the Centre establishing that human wellbeing is the single most important issue for our population, economy and way of life. In other words, we can’t afford to leave wellbeing to the individual only anymore if we are to create a thriving society and country. Mental illness alone costs the Australian economy $190 billion each year, or 12% of GDP! This is the equivalent of nine million days of work every year. The research shows that if an organisation is not looking at wellbeing, then you won’t have great productivity, will lack innovation, and you won’t be an employer of choice. Corporations are starting to acknowledge the role that they play on employees’ health, and overall there is a move towards dealing with our health proactively rather than reactively. Employee wellbeing has previously been seen by many as too subjective and obscure to have any tangible ROI or measurable way to demonstrate the effectiveness of programs targeting this. 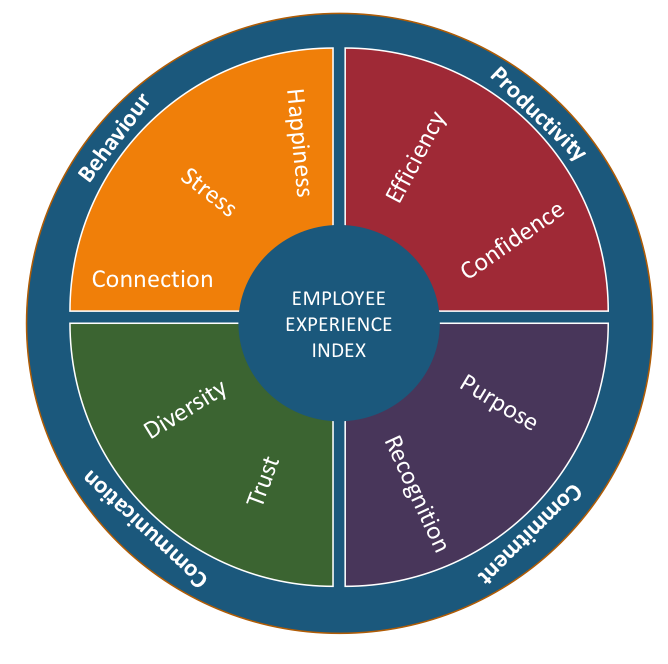 Introducing an index which measures key elements of overall employee experience, which can be benchmarked to other industries and tracked over time, not only allows workforces to be better equipped to have effective wellness initiatives, but also empowers employees to take personal responsibility with their health, supported by their employer. At EBM, we created a new index for measuring overall wellbeing in the corporate space. The creation of this index went through a rigorous research process (we won’t bore you with the details!) but allows you to compare your individual scores, industry scores, and compared to the broader corporate Australia rating. All in a quick 5 minute survey! You can see our model that includes four sub-indexes for the key categories. If you’re interested in getting your own score or getting your organisation involved, email us to find out more! Ever feel like you’re the odd one out of your tribe? Like you are trying to grow and develop yourself everyday, week, and month, and no one is there with you? You may have started (or mastered) meditating, you exercise consistently every week, and you’re eating the best foods to fuel your body. Your tribe are the people you spend the majority of your time with – your family, your friends, your partner. These people have the biggest impact on your habits, lifestyle, and quality of life. If you are not synchronised with them, then it can make you feel a little out of whack. For example, research has shown that obesity has become a ‘socially contagious’ disease, spreading among people like a virus. In married couples, when one spouse becomes obese, the risk to the other increases by 37%. Among siblings, the risk is 40%. And it’s worse among friends – for casual friends the risk raises by 57%; for close friends, the risk almost triples (see more on this here). So what do you do about this? How can you get your tribe synchronised to your ideal lifestyle? 1. Lead by example. Just because your tribe aren’t eating kale, running marathons, and meditation gurus doesn’t mean they can’t be (or a more realistic version!). Share with them the benefits that you are feeling from your own healthy habits. Tell them how much more energy you have, calmer you feel, lighter you are. If obesity is contagious, so are healthy habits, so it can work both ways. Encourage and invite them to try the healthy habits with you. Instead of going to a burger place for dinner, take them to a healthier option. Replace a morning coffee with a walk. Crowd out mindlessly watching TV or a movie with a guided meditation that you can do together. There are lots of options out there that you already know about (and are possibly already doing!) and you can act as your tribe’s own coach to spread the good vibes. 2. Change your tribe. You can lead a horse to water but you can’t make it drink. If #1 fails, it may be time to take a hard look at your tribe. While you can’t choose your family, you can certainly choose your life partner and your friends. Clara* is a prime example of consciously choosing her tribe. She moved to Sydney and got caught up in a group (and a partner) that prioritised partying and drinking over meditation and smoothies and she felt the impact it was having on her own quality of life. So she proactively started seeking out activities that she wanted to do for herself. It was here that she found her new tribe and her life was turned around. While finding new friends or a new partner can seem overwhelming, you don’t have to leave the old ones behind immediately. Just start to venture into new activities (you can even try #1 again with some of your friends!) and see where the universe takes you. 3. Run your own race. At the end of the day, this is your life. You decide how you want it to be. If you believe that you can make the healthy choices on your own despite the fact that your partner wants to order a burger and fries, then do it. There are people who can make their own decisions and not be influenced by those around them. If you’re happy to have a healthy meal while your nearest and dearest are having burger and fries then you run your own race! So learn to love your tribe or leave them. Either way, make the decision that is right for you, your health, and your happiness! This week we’re interviewing Kat Jacob. Kat’s a passionate personal trainer who is doing some amazing things with her own training. She works with many corporate clients, so this week we’re talking to her about how exercise can help relieve stress and what types of exercise are best for that whether you’re a beginner or more advanced. So Kat, tell us a little about your background and how you became a personal trainer? I’ve been passionate about health and fitness for as long as I can remember; I always loved being active and been interested in nutrition. Over the last few years I found that my ‘actual’ job – Event Producer – was impacting more and more on that lifestyle; the years of working long hours and late nights started to take its toll and I became stressed and sick. I started questioning whether I was in the right job – I was producing amazing events, but it started to feel meaningless and the risk of giving up a safe income and changing careers very quickly became less scary than the thought of staying in the events industry for the rest of my life. I happened to be introduced to the right person at around that time, which led me to take the leap and start on my journey to becoming a PT. I have now quit the events industry altogether and can honestly say it was the best decision I’ve made – there are challenging times and the money is nowhere near the same yet, but I am a much happier & healthier person and finally feel like I’m helping people change their lives in a positive way. That certainly is a leap of faith! You now do a range of different training regimes yourself? Can you tell us a little more about them and why you do so many? I love having variety in my workouts – it keeps me motivated and to me is much more fun than doing the same thing every day. I’m also a big believer in that we need to keep challenging our bodies to get stronger & fitter – by exposing it to a variety of activities & exercises we allow our bodies to grow in a much broader way. It also helps aid recovery between big sessions to give those movement patterns you just worked very hard a break and get the body moving in a different way. The majority of my training is based on Gymnastic Strength Training – lots of handstands, bodyweight strength training, rings etc. with a big focus on mobility. There is a lot of variety within this style of training, and I love the strategic approach of working towards set goals (i.e. a muscle up) – it pushes me to get better and work hard. I like mixing things up on my rest days with touch football, surfing / swimming, hiking or the odd run. Wow that certainly is a lot! How do you keep up with all your different training schedules with so much going on? What’s your secret tip for fitting it all in? I’m actually German and used to be an event producer so being organised comes with the territory! But in all seriousness, for me it’s all about planning ahead and having a set schedule of what to do when & where. I plan my sessions in 6 week cycles, and each session is written down so when I go to the gym I just need to open up that notebook and know exactly what I’ve got to do that day to stay on track. It means I don’t have to think about it when I get there but can focus my energy on the session, and it holds me accountable on those days where I’m feeling tired. I also meet up with a mate a couple of times a week and we train together – we teach each other new stuff, play with different exercises, spot each other and just generally make sure the other one pushes (or rests!) when we need to. That’s a great tip about planning your workouts in advance. It takes the effort out of trying to think what you’re going to do when you actually get to the gym which sometimes feels like half the workout! So this month we’re talking a lot about stress and mental health. Can you tell us how exercise helps with that? Exercise is proven to reduce our bodies stress hormones – adrenaline and cortisol – and stimulates the production of endorphins, the chemicals in our brain that act as natural pain killers and help lift our mood. Exercise can also help take your mind off things and shift your focus, and some exercises can in fact be a form of moving meditation – running or long power walks tend to do that for me! It can be a great way to get in some ‘me-time’ to create the space to think things through or just find the time to breather and switch off. Exercising regularly makes you want to eat healthier too, which in turn helps reducing the stress, as your body will be fuelled with the right nutrients to help cope with stress. For some statistics on the connection between physical exercise and mental health, check out the Waves of Wellness Foundation. Interestingly, research has shown that physical activities can sometimes be more beneficial for patients with mental health than a strictly clinical approach; after working with the ‘One Wave’ charity Joel Pilgrim founded ‘Waves of Wellness’ based on this approach, a non for profit that helps people struggling with mental health to find an outlet through surf therapy. Exercise helps people to feel better about themselves, and the community & their support that comes with sports and exercise groups can provide a sense of belonging too. So there are a lot of benefits and some great statistics to back it up! One of the biggest concerns our clients tell us is that they don’t have enough TIME to fit in exercise. How would you overcome that? I think the most important thing is to find a type of exercise you love – if you really enjoy something and it makes you happy, you will find it much easier to make the time. The gym isn’t for everyone – try team sports, swimming, cycling, yoga, tennis etc. and figure out which activity makes exercise fun and not just a chore you feel obliged to do for health reasons. Also, think about why you want to exercise – to feel healthier, to be able to keep up with your kids, or because you want to learn a new skill? It’ll help your motivation and keep you going on the days where it gets hard. That’s so true, you have to find something you love. Exercise can’t be seen as another chore in our lives – we just won’t do it. Plus we work with clients consistently to re-identify their ‘why’ for all their goals. It’s just one of the best ways to keep them motivated and pushing forward! So what are the best exercises to be doing to get in a quick, efficient and sweat inducing workout? My go to for a quick and efficient workout is a bodyweight circuit (think lots of animal movements like bear crawls, ape walks, frog squats, caterpillar walks and bodyweight pushing & pulling exercises. followed by some max sprint efforts –it’ll get your heart pumping & the sweat going while working your entire body. And what if I’m a beginner and never really exercised before, is there anything different that I should be doing? The most important thing is to ease yourself into it – you don’t want to go so hard that you’re hurting for days as that’s the best way to stop yourself from wanting to go back. If you’re unsure about technique or completely new to something, I’d recommend taking a few classes to learn the ropes and make sure you’re getting it right from the outset. It’s harder to fix bad habits than learning from scratch, and the right technique can make the difference between reaping the benefits or getting injured. Stuart McGill, a professor of spine mechanics said “First move well, then move often.” and I 100% agree with that statement. Other than that – get out there, try lots of different things and find the kind of exercise that makes you keep coming back. That’s it isn’t it. Just try something! But don’t go too hard. So many people go out really hard in that first week and when they can’t walk think “I’m never doing that again!”. It’s just best to build it up. Ok so the other end of the spectrum, what if I’m quite advanced, how can I keep pushing the intensity and make sure I’m making progress? Add some variety to your workouts by taking it into a different environment (i.e. outdoors or vice versa), add new movements into your sessions, look at ways to achieve your goals by trying a new approach. Let’s say you want to learn how to handstand – don’t just keep kicking up again and again, look at what other skills and strength you might need to achieve that handstand and work on those – for example your shoulder mobility, core strength etc. It adds diversity while still working towards your main goal, helping to get there faster. Another option is to find a training partner or group, a bit of healthy competition can go a long way in stepping up your game and it may expose you to some new ideas. Yes healthy competition is definitely a great way to up the anti! We’ve talked about that previously for finding your training soulmate! Ok final question, what would be your top three tips for a corporate worker trying to integrate three exercise sessions during the week? One thing that can make a big difference is getting the exercise in first thing in the morning – that way it’s done and no matter what the day throws at you or how tired you are after work, you will have had your exercise. Plus it’s a nice way to start the day rather than rolling from bed onto a chair and sit down right away, it’ll get your body and your mind going. I know it can be challenging when you work long hours or have kids to get back to, so you could try to incorporate exercise in your day in a way that makes it easy and doesn’t leave much room for excuses. When I was still in events, I used to run home from work at least a couple times a week – depending on the route I’d get a good 45 – 60min run in and with traffic taking the bus would’ve taken the same time. Or you could walk the first 5km before getting on the train home, cycle to and from work or give a lunchtime class a go. Travel a lot? Pack your trainers, most hotels have a gym & pool, or you can go for a walk and explore the area. If your week gets the better of you, get moving on the weekends! If you have kids, get them involved – go for a bike ride, play soccer in the park…there are so many options. Find the most convenient option for your lifestyle and make it a part of your routine – trust me, you will be more productive as a result and feel better for it! There’s always a way if you make it a priority right! Thanks so much Kat that was really helpful. Well readers we hope you all got something useful out of that and you’re all going to kickstart your workouts to feel the benefits! Sugar coated: Australian’s are increasingly getting out of shape and putting on weight. The truth: two out of three Australian’s are overweight or obese. Sugar coated: We should be doing something to help people eat healthier and make better choices. The truth: Australia is facing an obesity crisis and the Federal Government need to take leadership on this issue. There are so many different initiatives that could be undertaken to tackle the rising obesity crisis that we’re dealing with in Australia. But when a landmark study recommends taxing junk food, especially sugary drinks, to make them more expensive, and reducing advertising and marketing of those products to children as one of the most effective ways, then maybe we need to listen? Unfortunately, the Federal Government is doing the exact opposite, with the Minister for Health Greg Hunt bluntly saying, “We do not support a new tax on sugar to address this issue”. When you need to keep big corporates on side I understand it can be difficult to put the health of the nation at the forefront. Hunt went on to say, “Our Health Star Rating system helps people to make healthier choices when choosing packaged foods at the supermarket and encourages the food industry to reformulate their products to be healthier”. However there are some significant limitations to the Health Star Rating system. For example, the system is voluntary, which means that its up to the food manufacturers as to whether or not the product will display the health stars. Plus, many of the items that we’re meant to be eating (think fresh fruit and vegetables) are not packaged, so they don’t display the health stars. When their main slogan is “the more stars the better” it kind of makes this misleading. The calculation of the stars is also somewhat unclear, with full-cream unsweetened natural yoghurts scoring lower than sugary fruit yoghurts. Similarly, fruit juices score four or five stars despite being very high in sugar because they receive positive points for fruit content. In a context where consumers are extremely price sensitive due to the rising cost of living, would it not make more sense to incentivise healthy behaviours and penalise the unhealthy? The freedom of choice will forever remain, however the choice to eat healthier is now also economically the easier option. I believe with any behavioural change strategies, we need to work on increasing both motivation while simultaneously removing barriers. In the case of eating healthy, we’re using the concept of money as a mechanism for changing behaviour. Putting a sugar tax on foods that are clearly not healthy for us not only sends a strong signal educationally that ‘this food is not healthy’ but also communicates on a consumer level that ‘this is no longer the economically viable choice’. The World Health Organisation has urged all countries to implement a sugar tax, and found that such a tax of 20% results in a drop in sales and consumption of sugary drinks. The best part is, it’s not like Australia would be pioneering the way or going down a completely unknown path. In fact, we’re quite far behind with countries like Denmark, France, Hungary, Ireland, Mexico, Norway, South Africa, the UK and some US states bringing in a sugar tax. He’s totally on the mark with this one – it’s not that we are all unable to avoid temptation and consciously seek out the ‘bad stuff’; it’s literally thrown in our faces on a daily basis. Think about the amount of money spent on advertising for chips, chocolate and lollies versus the amount spent on sprucing fresh fruit and vegetables. It’s no wonder that when we’re hungry we reach for a chocolate bar. So is taxing the right answer? The evidence in support seems to point towards a YES. So what can you do about it to get the ball rolling? Start the conversation. Write on Facebook to your local MP. Share the story on your own social media. Do your own research into what has happened in other countries when they have brought in a sugar tax. Educate yourself and others. You can do something and together we can bring about change. The world has become a pretty unstable and unsettling place at the moment – Donald Trump is in charge of the most powerful country in the world, the UK is in negotiation to leave the rest of the EU, and war continues to rage in the Middle East. One sitting of the news and you’re likely to walk away feeling more down than when you started. In a time where we’re experiencing the highest standard of living in history, paradoxically we’re also more depressed, anxious and unhappy. First things first, we need to take care of ourselves. I’m not saying this out of selfishness, or from a ‘every man from himself’ perspective. I’m talking about learning to create happiness and peace from within that can radiate onto others and create a ripple effect. There’s a reason they get you to fit your own oxygen mask on a plane before others – you won’t be able to get someone else’s mask on if you’re not breathing! So here are the top 6 things that you need to be doing for yourself regularly in 2017. I’m not saying that these things will change the world, but they will definitely help YOU to feel happier, healthier and a more altruistic human. 1. Breathe. It’s amazing how many people aren’t breathing to its full potential. I used to be one of them. I used to just keep all the oxygen in my chest, and not expand the breath into my diaphragm and lower abdomen. When you start to breathe diaphragmatically, the PNS system (learn more on this here) is switched on, and your body starts to relax. It’s great to mindfully breathe like this first thing in the morning and last thing at night before you go to sleep for about five minutes. This will help you to subconsciously breathe like this throughout the day as well. It’s amazing what 5 minutes of deep breathing can do for your mental and physical health! 2. Fuel your body. It’s easy to forget that the reason we eat is to provide fuel to the body. The balance between eating for pleasure and eating for survival has swung considerably to the former and this is having ramifications. Try to make at least one meal a day focused on fuelling for nutrition. Eat nutrient dense foods – like fruits and vegetables – and try and eat as close to the natural source as possible. Processing of foods has changed considerably, and it’s hard to know what’s been added when you can’t understand the ingredients! 3. Move more. Unless you’re an ultra athlete, we could ALL do with more movement. Our sedentary lifestyle has us sitting down more than ever. Unfortunately, one hour of intentional exercise has been shown as not enough to combat the effects of sitting at a desk all day. So we need to start integrating movement throughout the day. Take the stairs instead of the elevator, walk to/from work or a portion of the journey, or go for walking meetings instead of sit down coffees. Do whatever it takes to make that magic 10,000 step number. It’s not in any way easy, but it’s very rewarding for your body. 4. Learn to meditate. If there is only ONE thing that you do this year, learn to meditate. There are yoga studios and meditation centres popping up everywhere, and plenty of resources online that can teach you the fundamentals – I have even made a recording for you here. If you’re already meditating, make it a goal to foster your practice. I could go on and on about the benefits of meditation (and I do so here) but for the sake of this blog, just realise that meditation is one of THE BEST forms of self-care out there. It takes as little as 5 minutes a day, and it can be life changing. Trust me on this one. 5. Embrace minimalism. I have blogged on this already (and will probably continue to!) and it seems to be quite an emerging theme for me (and plenty of others) in 2017. It seems that an excess of ‘stuff’ is manifesting our discontent, and there is no end in sight in the hunt for something new. Cleanout your wardrobe (learn how to here) or de-clutter your office space. Just spend time over the next year clearing the physical to allow the mental space for growth. Now this may seem like a lot but even if you just pick ONE of these things to do this year, the transformation may just surprise you. Jennifer Scott did a Tedx Talk on her form of minimalism in the wardrobe. She talks about how we constantly add to the wardrobe yet don’t throw out things that are currently in the wardrobe. Despite this paradox how many of you have those mornings before work when you think “I have nothing to wear”? The struggle is real to find an outfit that feels comfortable but also looks good. We often have to end up picking something last minute so we’re not too late, and for the rest of the day end up feeling slightly uncomfortable in our choice. My partner – who wears a suit everyday – still has the conundrum of picking out what colour SHIRT (he only has one choice to make!) he’s going to wear that day. So why does this inverse relationship exist between the number of clothes and the ease with choosing what to wear? Behavioural economics will tell us that it primarily relates to the notion of choice. Research shows that increasing choice actually overwhelms our brains, and too much choice has a negative impact on us. So how do we overcome it then? Well Jennifer proposes a 10-item wardrobe. She advocates for having a small high-quality wardrobe that is in heavy rotation. There seems to be quite a stigma in Australia about wearing the same clothes. But this isn’t the case in all cultures. Look at any European film; the main lead women characters wear only a few items consistently. It allows them to demonstrate their own unique style everyday. Whereas American films are all about having a different outfit in each scene! Seems reasonably do-able? You are also allowed some ‘extras’ on top of your 10-item wardrobe, such as: t-shirts, blazers, and special occasion wear like for weddings or specific occasions. 1. Does it fit me today: don’t wait till you lose/put on that weight and think ‘then it will fit me’. The rule stands for ‘does it fit me TODAY’. 2. Is it age appropriate: there are some items that can last decades and still be timeless, but that tiny leather skirt you bought when you were 18 is probably not appropriate to wear to your friends 30th birthday anymore. 3. Is it my true style: I find as my wardrobe starts to shrink, it also starts to develop. You know the typical clothes that you feel most comfortable in and that look good, so I keep items that follow that trend. If you think that biker jacket looked really great in the shop but you’ve never worn it, it’s probably not your style. 4. Has it been worn in the last 6 months (you can tell by the coat hanger flipping trick! ): this is the best rule for the bi-annual clean up. If you haven’t worn it in the last 6 months then it’s got to go. On top of this, I also enforce the rule that if I buy something, then the equivalent in the wardrobe has to go. Realise that RIGHT NOW you have enough of everything, so anything you buy is excess. So for an easy example, if I buy a new pair of socks, then I throw out an old pair. If I buy a new top, I know that I need to throw out a top at home. This requires a little more thought now in the buying decision. So rather than just impulsively buying items, I now think about what will be sacrificed for this new piece. · When you need to get dressed for work, you should now be able to pick 2 items and they’ll go together. · You can let your true style shine through that is classic and unique to you, not like everyone else. · You will save money because you won’t be impulse buying. · A clean wardrobe means a clean mind. · You’ll always be able to look presentable and not default to your ‘active wear’ even though you’re not exercising. See how you go with de-cluttering your wardrobe! I’ve blogged before on the Elimination Cycle and the steps for preparing, but we’re starting a new cycle of the Elimination Detox TODAY so I wanted there to be another resource for people to learn about this. These are only SOME of the symptoms. So if you experience any of these, it is your body’s way of saying “I need some time out!”. My body needs to detox about once every six months, and I can tell when it needs it. I grew up in a household where we had fresh food bought everyday, because the supermarket was conveniently located about 5 minutes from my house. When I moved out of home and into a university dorm, food shifted from being a healthy source of fuel for my body to a pleasure seeking mechanism that had almost no nutritional content. I should’ve caught on when we learnt the suppliers for the college food also serviced several major prison systems in Sydney! So I got sick. Like really sick. Like waking up in the middle of the night with stomach pains, headaches, and fevers (usually at 3am!). I had every test under the sun to try and find out what was wrong with me. NOTHING. All the doctors said there was nothing medically wrong with me to be causing this. So I turned to a nutritionist and a naturopath who worked together on figuring out what was the underlying cause: food allergies. I was allergic to almost EVERYTHING I was eating. So I spent the next couple of months going through an Elimination cleanse and figuring out what foods my body would tolerate and serve me as a source of fuel. Now those allergies are all but gone, but occasionally they can rear their ugly heads when I’ve drifted off slightly and started to eat more processed foods. So that’s why I detox every six months. To give the digestive system, the liver, the kidney’s, all a break and a reset! Headaches: like any addiction, when you remove it, the body goes into withdrawals. The body has become dependent on this and when it doesn’t get the ‘hit’, will start to cause headaches as it craves for it. Fatigue: on top of the headaches, your body is now missing the energy boost that sugar used to give it. Think of the highs and lows that you often experience after a sweet – a donut, a muffin, a cup of milky coffee. It gives you a short boost, you have a crash, you crave more sugar, so you give it another hit. It becomes a vicious cycle. When we break that cycle, it is very likely that you may feel sluggish and fatigued. Irritability: When you make changes in your nutrition the body often responds in very interesting ways. If it’s missing it’s normal pick-me-ups then its common to become more cranky and irritable than usual – think 2 year old child who has missed their afternoon nap. So what do you do about the cravings? And believe me there are going to be cravings. Depending on how much processed foods, caffeine, sugar and alcohol you were consuming before will ultimately determine how hard the detox will be. However, the ones with the higher levels initially are often the ones who also experience the best benefits! 1. Drink. Drink till you feel like a fish. But only the good stuff: water and herbal teas. Dehydration is often one of the main reasons why we have cravings, and you can often drown them out with water. Try for at least 2 Litres of water everyday during the cleanse. There’s some more tips here on staying hydrated. 2. Move. You know that high that you feel after sugar or caffeine? Your body is going to miss that, so replace it with some exercise. When we move, our body releases the same feel good endorphins PLUS acts as a stress reliever to help with the irritability. This doesn’t mean you have to join a gym and train 7 days a week, just get sweating. Be creative. Get outdoors. It’s summer here in Australia so the opportunities to exercise are endless! 3. Integrate natural sweets. You ARE able to trick your body. When you’re craving something sweet, give it a healthy alternative. Amazingly, sweet root vegetables will give your body a similar satisfaction to lollies, so up the anti on vegetables like carrots and sweet potatoes. Fruits are also a great alternative and there is an abundance of wonderful fruits available at the moment! Pineapple is so sweet, your body will think it’s just had a block of chocolate! 4. Create a network. Firstly, it’s best to warn your family and friends that you may be more irritable than usual during the cleanse. As the toxins leave your body and you go through the withdrawal symptoms, your fuse tends to be a lot shorter than usual. It also helps if those closest to you are aware of what you’re doing to provide extra support in those tough times and to not eat that cupcake in front of you. If you’re lucky, they may even choose to join you! 5. Go easy on yourself. Realise that deciding to take a cleanse is more than what a lot of others do. 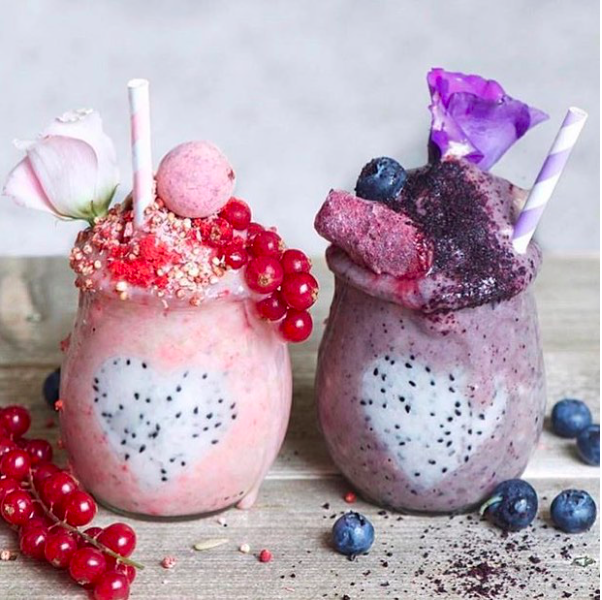 Beyond that, eliminating ANYTHING unhealthy from your diet is going to be beneficial to your overall health no matter if you do it for a day, a week or a month. Realise that you WILL have slip ups – we are human – so you just go back to the cleanse as soon as its over. Don’t throw away all your hard work just from one slip up. If you’re not sure where to start, you can join our Elimination Detox Challenge! We start January 16th and all our Eliminators start together and finish together. You will have access to your own manual, support videos and tutorials, plus a step-by-step guide to both the pre – during – post elimination. Okay so I think most of you may have heard of the 80/20 rule as this distant principle that you could apply to your life to get some benefit out of. Originally called the Pareto Principle, this philosophy was first applied in business. It was commonly found that 20% of customers lead to most, or 80%, of the sales. The principle has been taken now into many contexts but the most important one here is for your health. While I’d love to say that 20% of your efforts net an 80% improvement of your results, we need to flip the rule in this context and focus on the 80%. If you make the majority of your choices healthy, you can achieve a healthy lifestyle. This 80/20 rule is universal; it applies to all aspects of your life. A healthy lifestyle doesn’t come from one ‘good’ or ‘bad’ decision. It is an accumulation of all your health choices each day, each week, each month and each year. You don’t have to be perfect all the time, but you also can’t have cheat meals all the time. You don’t have to go to the gym everyday, but you do need to do some form of movement at least a majority of the week. You don’t have to meditate for hours on end, you can just find 5 minutes every second day to focus on your breathing. If you can eat, exercise, and be mindful 80% of the time, you will see amazing results. You know why I love this rule so much? Every wondered why those “lemon detox diets” or the “soup diet” or the “500 calories every second day” don’t work? They’re not sustainable. The best rule I’ve ever been taught is “if you want to put on weight, then go on a diet”. Diets make our body go into survival mode, and not only hold onto the weight we’re already carrying, but as soon as we return to ‘normal’ eating, we pile on the extra pounds so that we can make it through another famine! The 80/20 philosophy is not a diet, it’s a lifestyle. It’s a way to make healthy decisions throughout your day/week/month/year. There’s no guilt if you overeat, under exercise or miss a meditation. You just have to balance it out somewhere else. Each day is an attempt to get the most out of your choices. Then tomorrow is a fresh day and you start again. My clients are sometimes horrified to hear that I don’t live by some amazing health trend that I abide by 100% of the time. When I tell them that I eat a piece of dark chocolate almost every night, (it is 95% dark chocolate though) they almost fall of their chairs. Or the fact that I don’t train at my gym every day. Or that there are days when I don’t meditate. I am not a robot – I am also human. And humans need a little wiggle room. While my ratios will often be closer to 90/10, I still need that 10%. Allowing yourself to have some space to breathe is necessary to stay on track with your health goals. It’s OK to have cheat meals, days where you don’t move off the couch, and mindless days. Actually it’s more than OK. You NEED them. Fundamentally as a human being. So that’s a big reason why I love this philosophy. When something seems achievable, you are more likely to do it. I like to apply this rule to EACH DAY with my clients at first rather than the bigger picture (though you work to this!). Every decision throughout the day becomes the question “Are the majority of my choices today healthy?”. If you’ve reached 11am and the answer is no, you still have the rest of the day to be making healthy decisions. For example, in a typical day, if you’ve had a healthy breakfast and then a colleague has brought in Christmas cupcakes for morning tea, don’t beat yourself up for having one. Enjoy it, remove the guilt, and then realise the rest of your day needs to consist of healthy decisions. That means when you get to lunchtime you need to have that salad rather than a burger, and for dinner have the grilled rather than the fried fish option. It’s all about balance. Now I have a little secret about this rule for my clients in December, because December is one of the hardest months of the year to keep your health goals going. BUT I’m going to reveal this secret in my free upcoming webinar so you’ll need to tune in on the 15th of December to find out more. Aim: Create tangible ways to keep your health goals going in 2016.